Welcome to the new format for the weekly "Communities" eNewsletter from Topretirements. If you have any difficulty reading this or have suggestions for it please let us know. 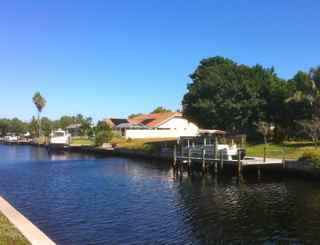 Today&apos;s focus is a cluster of cooperatively owned communities in or near Venice, FL, a town we think a lot of. We&apos;ve given you direct links to 3 developments, plus a link to 5 more. These selections offer a range: most are quite affordable, while a few others are more luxurious. Harbor Cove is a good example of an established community owned and run by the Home Owners Association. It has river frontage, boat slips, and a lot more (besides being very affordable). There are 355 homes in this cooperatively owned community in nearby Englewood, many of which have water access. Tennis courts and league, woodworking shop, pools. Towards the other end of the spectrum is the Plantation Golf & Country Club. Homes are a bit more luxurious and so are the facilities. We know several people who love this community. Copyright © 1995-2008 Your Company Inc. All rights reserved.